Home → News → The waste thing: How can you help? 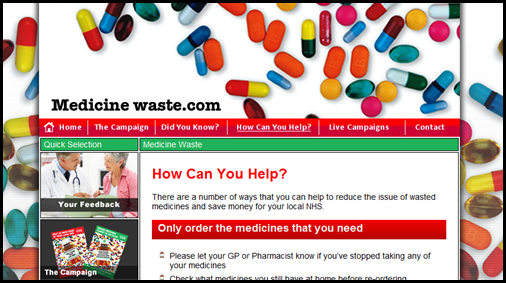 Please do check the website out and let us save the NHS some bucks! We may just be able to afford that extra hip replacement, community nurse or the drug treatment course for breast cancer or Alzheimer’s! and that will be very cushty!